Posted in: 1 Pageant Pages, 2 Shout-out-Looks. Tagged: 50th Mutya ng Pilipinas, Bb. 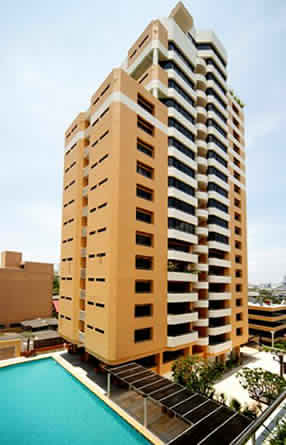 Pilipinas 2013, Mutya Gold. With so many beautiful ladies assembled for one national pageant, I am floored as to how to size up their individual chances accordingly – let alone come up with early favorites at this point. Let me just say that I have never given #LadyLuck equal weight ever since the 50th Edition of Bb. Pilipinas last 2013. Until now. The 50th Mutya Ng Pilipinas is really worth her weight in GOLD. Best of luck to all fifty (50) Mutyas! See you all in Monday’s #PressPresentation! Posted in: 1 Pageant Pages, 2 Shout-out-Looks. Tagged: Bb. Pilipinas 2013, Bb. Pilipinas 2017, Charmaine Elima, Philippine Airlines. Just when you thought that memories of Bb. Pilipinas 2013 will keep coming back regarding the performance of Charmaine Elima, think again. During the Aces & Queen Presentation of the Class of 2017 for Bb. Pilipinas, she was a clear standout in all aspects. There are good reasons why she was voted Miss Personality during the said mock pageant. And how! The positive changes are very distinct. Charmaine has vastly improved in her English communication skills, and can actually speak the language quite fluently while projecting a modern version of herself – confident and charming as well as effective in connecting with the audience. I must admit to being pleasantly surprised with her transformation. The years of work with Philippine Airlines really upped her ability to relate to different types of people. And you can see in her moves that there are no more traces of the tentative Maine during her first attempt in the nationals. 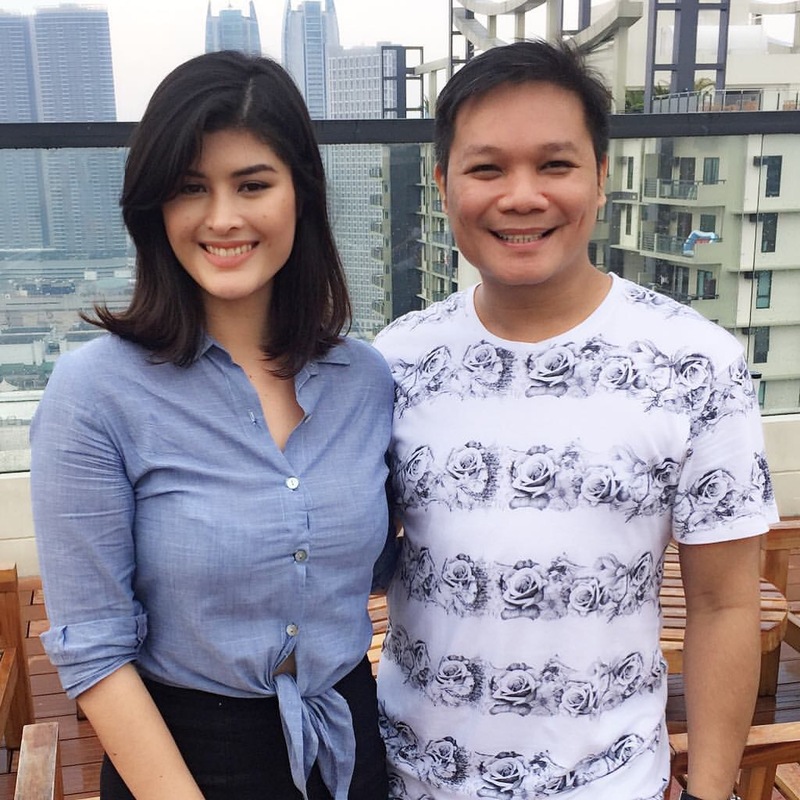 Maria Angelica de Leon: Hello, Miss World Philippines 2016? Posted in: 1 Pageant Pages, 2 Shout-out-Looks. Tagged: Bb. 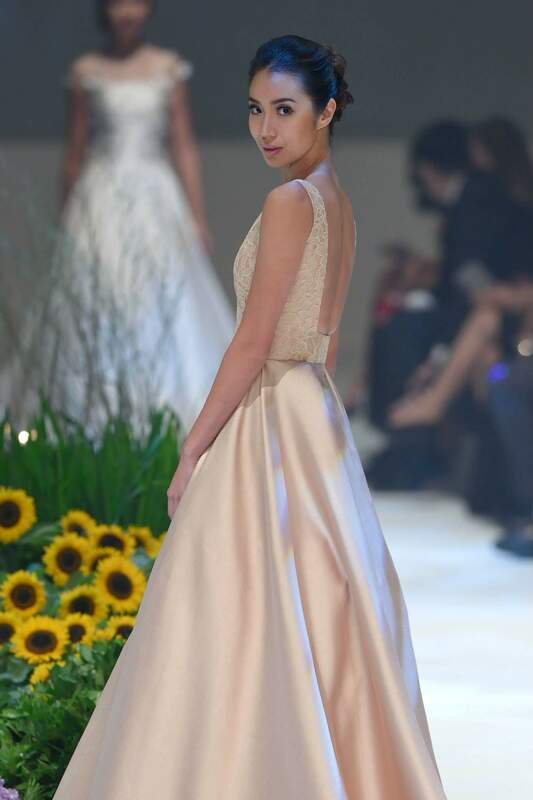 Pilipinas 2013, Maria Angelica De Leon, Miss World Philippines 2016. 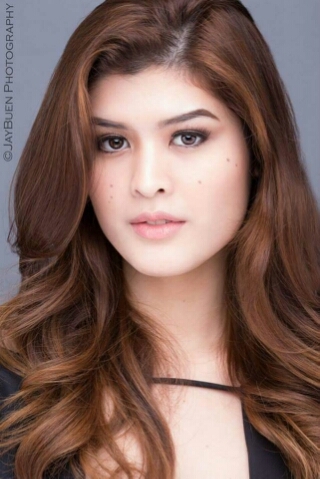 The last time we all saw Maria Angelica de Leon in pageant mode was during Bb. Pilipinas 2013 when she placed in the Top 15. After that, she kept a low profile and decided to stay away from making any second attempts upon the advise of her Aces & Queens camp. This year, the daughter of celebrity couple Christopher de Leon and Sandy Andolong has resurfaced. And how. She definitely possesses a softer and more vibrant appeal now (see photo with Jonas Gaffud below). And what’s more, it’s looking more and more like she’s one of the ladies being groomed for Miss World Philippines 2016, along with the previously-revealed Catriona Gray. Does this mean that there will be no re-appearance for Kim Ross delos Santos? Will it be a battle between two talented singers (Mariel and Catriona)? Can we anticipate the Beauty With A Purpose (BWAP) Project of Mariel in the days to come? Posted in: 1 Pageant Pages, 2 Shout-out-Looks. Tagged: Bb. Pilipinas 2013, Imee Schweighart, Miss Philippines Earth 2016. Imelda Bautista Schweighart – or simply Imee Schweighart – will be recalled as a Binibini of Bb. Pilipinas 2013 where she entered the Top 15 in such a tough (Golden) edition of the nationals. She was a favorite that time, but lady luck wasn’t on her side just yet. 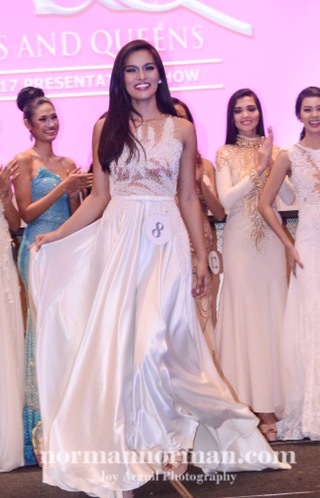 Last year, she was reported to have joined Miss World Philippines, but backed out at the last minute just before the announcement of candidates during the Press Presentation. For 2016, she made good with the promise to make a pageant comeback and is now the representative of Puerto Princesa City in Miss Philippines Earth 2016. So far, 21 year-old Imee is considered to be one of the favorites among the more-than-50 contenders for the crown being held by Angelia Ong (who is also Miss Earth 2015). Could the environment-focused competition be just what her KF camp ordered for a potential victory come Independence Day? Very likely. Let’s hear what she has to say about her reasons for wanting to nail this title. I am the next Philippines Earth because I want the best welfare for my fellow Filipinos. Through Spirit I am an energy of hope in bringing your dreams to life. I believe the Miss Earth Organization should finally have their own discovery of a new breed of talent to blast off for the world to be inspired. So that the young, will continuously blossom into our next generation of inspirations. I am a Mystique. The fuel that drives me to aim for the crown is my special connection to the people and Land’s cry for help. Cassandra Naidas: Is her look Miss World-worthy enough? Posted in: 1 Pageant Pages, 2 Shout-out-Looks. Tagged: Bb. Pilipinas 2013, Cassandra Naidas, Miss World 2015, Miss World Philippines 2015. Cassandra Naidas: Could 2015 be the time to do another pageant? 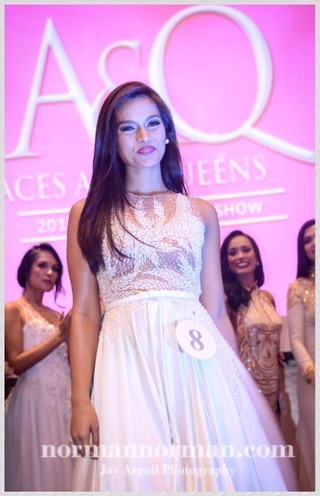 Suddenly, there’s Cassandra Naidas getting the buzz in local pageant sites and message boards. And once fans and followers start coming up with different thoughts about who might join the next contest in line, names start cropping up. Back in 2013 when Cassie took part in Bb. Pilipinas Gold, she was 22 years of age and showing a lot of potentials to make it. Sadly, that wasn’t her time yet. Could 2015 be the right year to shine? And with Miss World 2015 to be hosted in Sanya, China, the sentiments of some are to send either an exotic or a more oriental-looking representative to get a good chance of placing in the finals at least. Cassie is 5’10” tall, catwalk-trained and with looks that can be taken as a cross between Chinese and Korean with a wee bit of Filipino combined in the mix. One more Bb. Pilipinas try for Maria Angelica de Leon? Posted in: 1 Pageant Pages, 2 Shout-out-Looks. Tagged: Bb. Pilipinas 2013, Bb. Pilipinas 2016, Christopher de Leon, Jay Buen, Maria Angelica De Leon, Sandy Andolong. 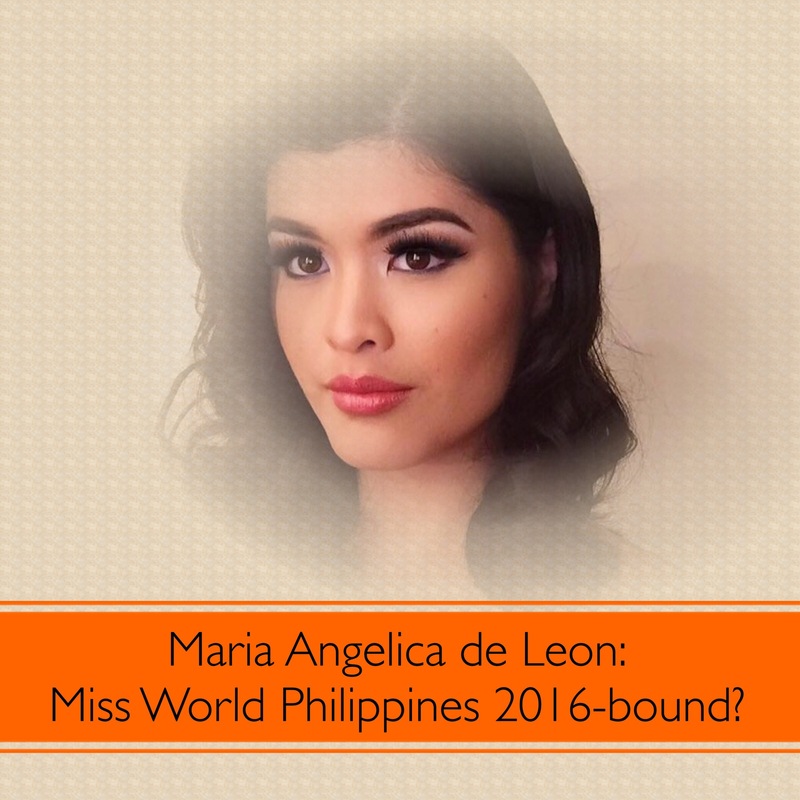 Back in 2013, Maria Angelica ‘Mariel’ de Leon was tipped to be one of the Bb. Pilipinas Gold titles, not only because of her celebrity pedigree, but because she was definitely one of the more stellar standouts among the fifty (50) Official Candidates. She performed well up to the Q&A that people inside the Araneta Coliseum were expecting her name to be announced as one of the five (5) winners in the magic circle. But sadly, it wasn’t meant to happen at the time. Her trainers at Aces & Queens thought that she would need at least two more years before going for a second try in the nationals. That was 2013. It is now mid-2015. And Bb. Pilipinas 2016 will start sending message alerts by the 4th Quarter. Will she be 100% ready by then? The photos in this feature were taken by my photographer-friend Jay Buen last December, 2014, so Mariel should have a relatively different aura now. Posted in: 1 Pageant Pages, 2 Shout-out-Looks. Tagged: Bb. Pilipinas 2013, Bb. Pilipinas 2015, Stella Marquez de Araneta. The video below was shown during Bb. Pilipinas Gold two years ago. Before the start of Bb. Pilipinas 2015 just hours from now, let us quickly reminisce on what BPCI (Bb. 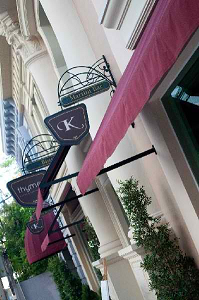 Pilipinas Charities, Inc.) has achieved and how it plans to further its causes for the years to come. Your blogger is preparing to leave for Araneta Coliseum by now. I am looking forward to an exciting show, together with my nephew Rafael who volunteered as my photographer. 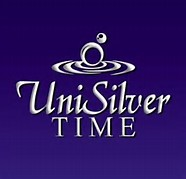 Do catch my live blog of the finals later!